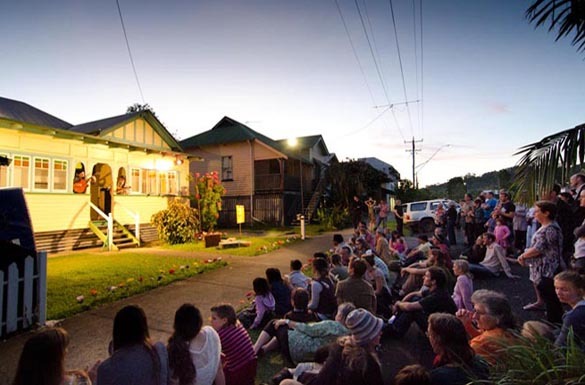 Imagine this: stepping onto a bus to a mystery location – all you know is it’ll involve circus and acrobatics in a Lismore home, with a well known local family… It’s Open House: a site-specific production that is the first of its kind in the Northern Rivers. Developed through Generator, NORPA’s creative development program, this unique production will turn circus on its head! There’s a house for sale in Lismore, and everyone is invited to take a peak. Gareth Bjaaland and Bronte Webster, known in the region as acrobatic duo The Pitts, will be leading the Open House inspection in an interactive new production. Joining them is their 6-year-old son Gwyn Bjaaland who’s has been performing in this unique circus family long before he could walk! 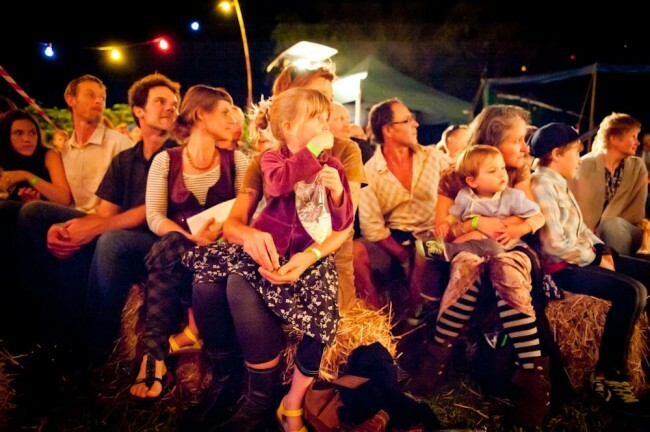 The audience will move through the house and witness tricks and flips and crazy happenings in the rooms before ending up in the garden for a trapeze and circus show whilst this real-life vaudevillian family unveil the inner workings of life as travelling performers. Gareth said the story, inspired by their lives as performers, will be very memorable. “We want the audience to remember this as a marvellous show with a clever story, and be impressed by the skills and charmed by our personalities,” Gareth said with a clownish grin. The production began through a collaboration between The Pitts and NORPA Artistic Director Julian Louis during two Generator residencies in 2009 and 2010. 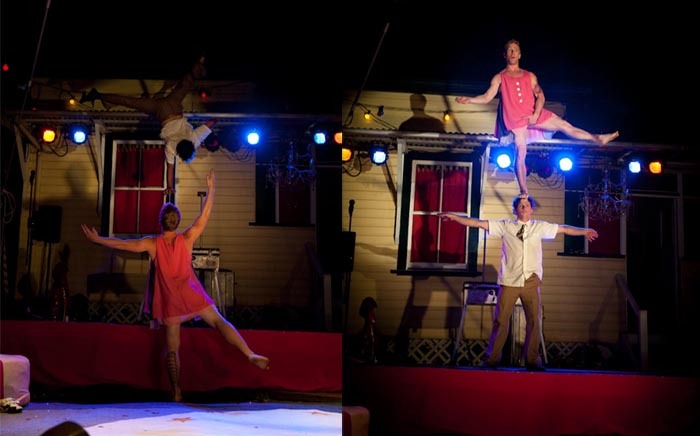 They were excited to explore the potential of acrobatics and theatre in a site-specific location, a regular house. Earlier this year NORPA were chuffed to secure the internationally renowned clown and street performer Fraser Hooper as director of this production. The result is a unique collaboration that showcases clowning, circus, theatre and acrobatics that should not be missed. Musicians Shenton Gregory and Cameron Ford will be providing a live score to the work, playing multiple instruments in places you’d never expect. 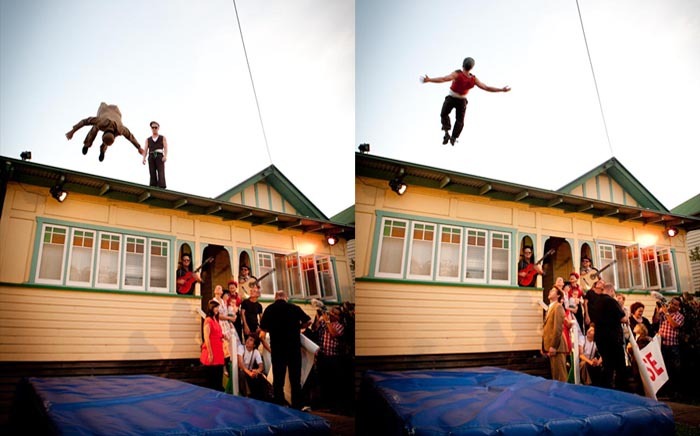 Shenton is well known for his show stunt orchestra where he plays violin suspended from a trapeze rig. Expect him to be playing upside down, on a roof, in a cupboard or all three at once! The audience will experience the traditional notions of theatre being challenged and flipped on its head. This anarchic, playful and colourful performance will never be forgotten! Award winning clown Fraser Hooper has built a huge international following delighting audiences of all ages with his unique brand of contemporary clowning. After a glittering career in menswear and two years on the London cabaret circuit in the popular double act The Hoons, Fraser Hooper decided to go solo. Twenty years on he is still playing to sold out theatres across the UK and at comedy and street festivals worldwide. 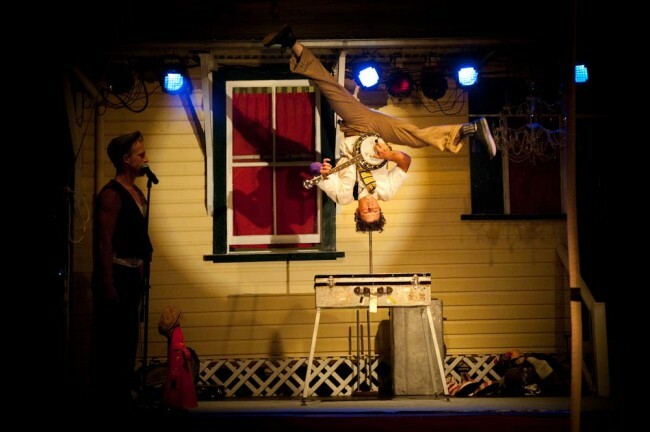 With over 15 years of experience performing in over 25 countries in circus, theatre and on the street, Gareth and Bronte have thrilled audiences at many major festivals and events including Melbourne International Comedy Festival, Woodford Folk Festival, Perth Festival, Adelaide Fringe Festival, numerous European International Street Theater Festivals. Taking inspiration from comedy, slapstick, theatre and circus traditions this unique and highly skilled duo showcase a non-stop barrage of spectacular acrobatics, feats of comical contortion, odd-ball sight gags and engaging audience interactions. From fast paced knock-about acrobatics to slow balletic adagio they take the audience on a roller-coaster ride into the bizarre world of a not-so traditional circus family in which things don’t always go as planned …. Also, never failing to charm and amaze, is occasional guest star ‘Wee Pitt’… one of the worlds smallest acrobats Gwyn Bjaaland.